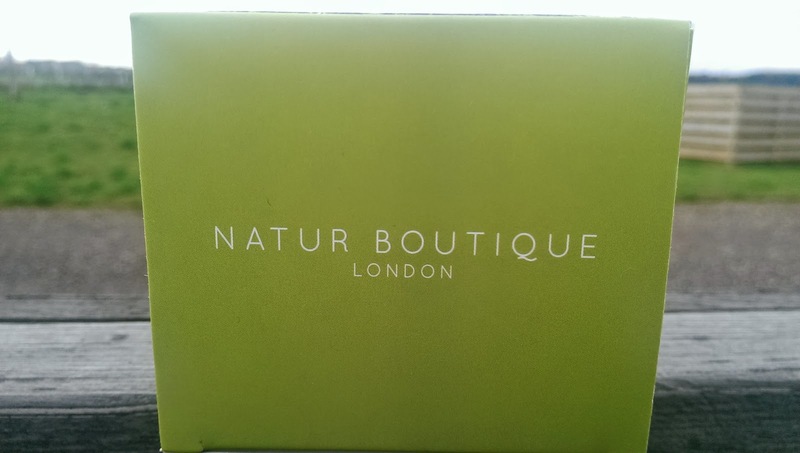 I am loving being back on my green juices and have definitely been feeling the benefits………. #loadedwithvitamins. 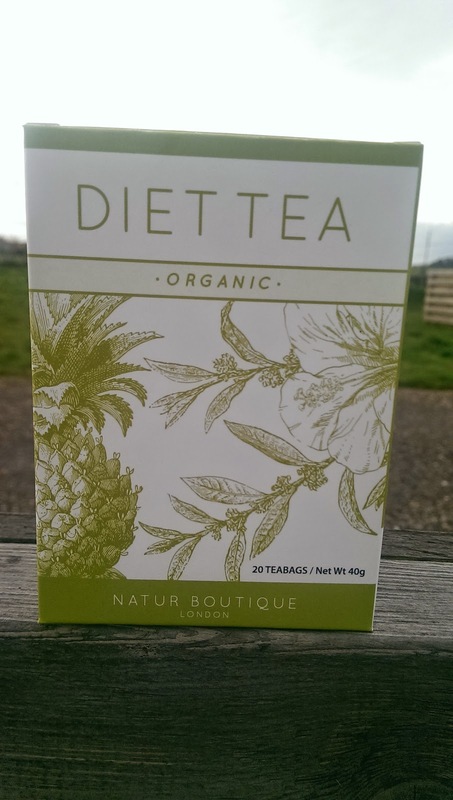 On a recent trip to Holland and Barrett I perused the tea aisle and came across Organic Diet Tea by Natur Boutique. (For the record I am not actively on a diet, although I am trying to eat better at the moment). Given that it’s ingredients include green tea, pineapple and that it says it taste good I thought I would give it a try. The lady in the store asked me to give some feedback….so here goes. 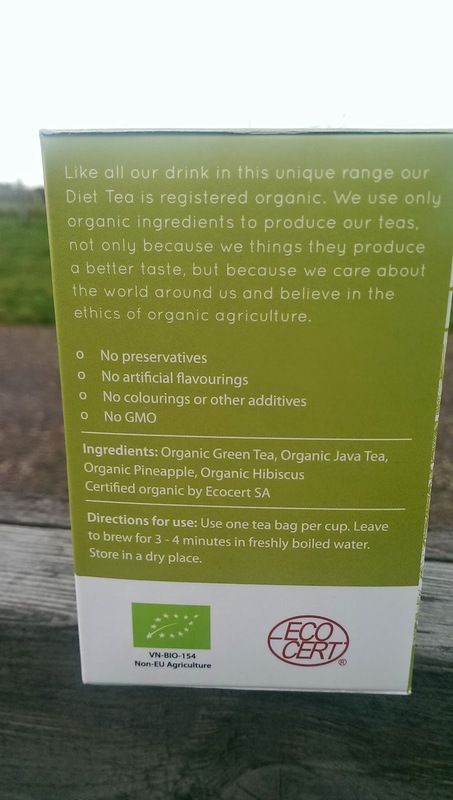 I was expecting a lightly tart tasting tea, thinking something like green tea and pineapple…..but no. I am not sure if it is the green, java, hibiscus or pineapple tea inside it but the combination is not a good taste for me. Smelling similar to something like Bovril….. yes you read this correctly…. I am afraid the taste did not get better either. Maybe it is because I am not a big fan of Bovril, but it tasted like it too. The only way this tea would help me diet is that it made me feel a little nauseous after drinking it and therefore put me off food. That said I found that a packet of Salt and Vinegar Kettle Crisps sorted that out….. maybe not so great if you are on a diet and you choose to eradicate the taste of your diet tea with crisps….hmmm. Unfortunately I struggled to force myself to drink it. Quite often Mr Fifi Friendly likes to try some of the food products I buy for this blog…. he can have the whole box. The box says this drink will appeal to anyone whether on a diet or not…. and the survey says…..not for me. Previous Post Fifi Friendly goes WORLDWIDE!…..